Hi, Have You Met God Alone? Ever since its reconstruction in 1963, following a fire in 1955, Cork Opera House has been the epicentre of Cork's musical landscape. One of the cities standout architectural masterpieces, easily distinguishable as you walk along the riverside, it seems like the ideal location to meet with members of a Cork band whose seem at the centre of a revolution, bringing metal back to the fore of Munster music. If you're a metal fan in Munster, or Ireland in general, it's impossible to avoid God Alone. 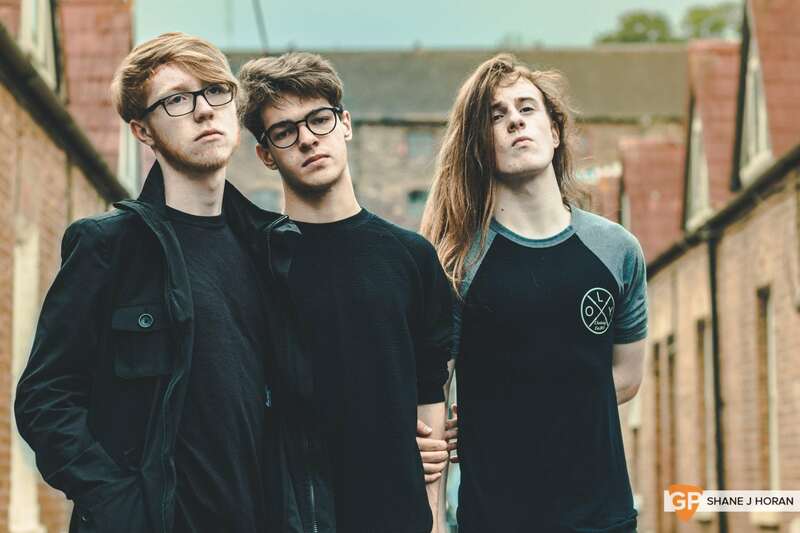 Despite being a young band, with ages ranging from 16 to 18, they have been placed high on the bill of almost every metal festival in the country. 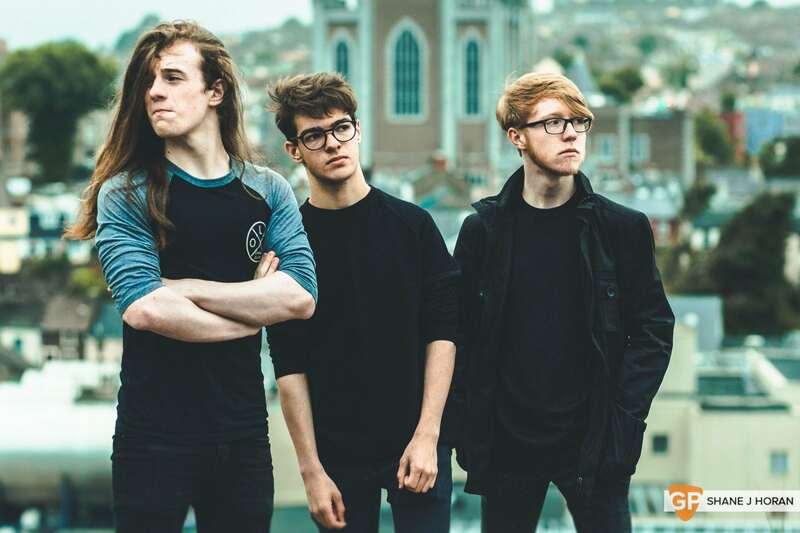 Formed in 2016, the post-metal five-piece, made up of Jake O’Driscoll (Guitar/Vocals), Cian Mullane (Bass/Vocals), Seán Thompson (Guitar), Dylan Kelly (Keys) and Jack O’Hanlon (Drums), released their debut EP in 2017, and have been consistently ever touring since. We sat down with three of the band ahead of the release of their debut album "Poll na mBrón" on December 16th. Q: How did the idea of forming a band come about and where did the name ‘God Alone’ come from? JOD: We were in the band before, but we wanted to do weirder stuff really. We were all always interested in music so forming a band was a natural progression. As for the name ‘God Alone’, we robbed it off an Altered Plague song because they were the biggest influence over what the band was making, they are my favourite band. There’s nothing really deep or metaphorical about it, we literally just robbed it off one of their songs. Q: How soon after your first rehearsal did you begin writing your own material? JOD: Straight from the off. We wrote Seven from the first EP in the first rehearsal. I was in a Prog band (previously) and I had written the basis of Seven for that and then with God Alone we slightly changed it up a bit, every practice after that we wrote a little bit for the EP. CM: We were kinda practising a lot, but we didn’t have any gigs to do, it was hard because we weren’t able to play the Poor Relation or Fred's or anywhere like that around Cork. So, we thought we may as well record something because there’s no point in practising if we’re not going to do anything . We recorded ‘INVITIM’ in The GroundFloor, under the YMCA, with Ronan McCann, over 6 months. It was good craic to record it in there because Ronan made helpful suggestions on how to make it better. I think without him it wouldn’t be half as good, because he just understood what we were trying to do. We didn’t think anyone would listen to it, we just wanted to make it for us because we thought it was cool, but a lot of people seemed to like it and we got a lot of gig offers so I'm really happy with it. Q: Were you surprised how quickly your name spread after the EP’s release? Q: How have you been finding the attention, especially in Cork? JOH: Cork is a great place to start a band, everyone is really supportive. I feel as if we were somewhere else we wouldn’t be doing as much work. Everyone is just really sound. There’s no competition. I hate to say it but in the ‘scene’, in Cork 90% of the bands are savage. 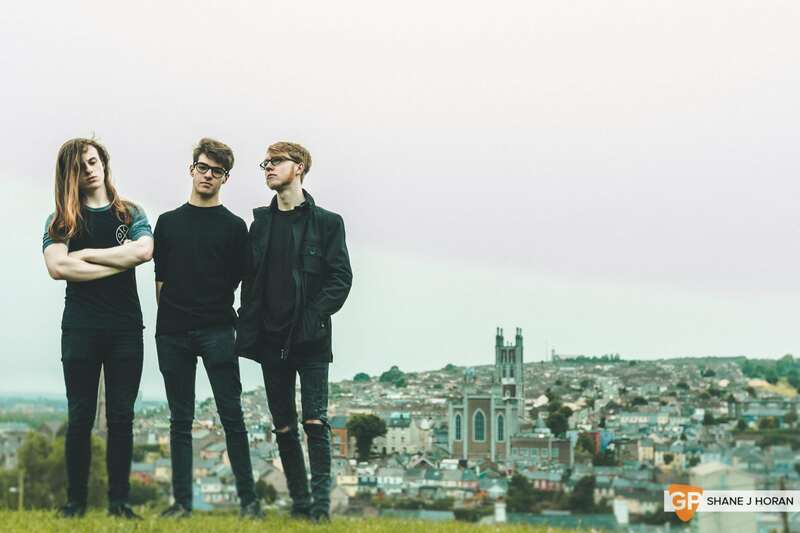 JOD: There are loads of weirder bands around Cork too. You look around the country and they’re all just trash metal and death metal, but in Cork there’s a lot of Post-rock bands, there’s always been a wide variety. Q: Are people surprised by how young you are when they first meet you? CM: We never really pushed the gimmick of us being young fellas really, we don’t market ourselves as young fellas making tunes, we just make tunes and if people like them, sound, and if not so be it. It's nice being a young fella though, there’s less to worry about. JOD: People are surprised by it, but I’m glad people don’t think it’s just a young band making tunes, we’re a band and we’re making good music. Q: Do you think people's attitude towards you is different however because of your age? CM: I’d say not really to be honest. At the start we thought it would be hard to get gigs as we’re under 18 and places wouldn’t let us in, but any band we’ve ever done a gig with around Cork or anything say “We think you’re good, do you want to play?” there’s never any patronising or anything like that. Q: What inspires you to do music? CM: In terms of what we write, it’s just anything we’re listening to at the time. We got mad into reggae there a while ago and started writing a load of that for a few weeks, making more dancy stuff. Literally, anything we’re listening to we’ve no problem just throwing in. At the same time, we’re all living in the north side of Cork and that definitely influences our sound, loud music, really bad mc’s and techno, lads beating each other with sticks, it all goes into it. If you walk around the north side at night and hear lads blaring stuff out of their cars as they’re driving past you and there’s a fight to your left and a GAA match on your right, that’s going to influence you. I think that’s we sound like, or we’re trying to sound like anyway. Q: In a dream scenario, where would you like the band to be in five years time? CM: I would like to have a heap of money and buy a big huge gaff in the countryside and move us all in there and make tunes all day and that. Hopefully people buy our stuff and then we’re pretty much set, just making tunes I suppose. JOH: You ever seen the TV show ‘Loaded’? It would be just like that, buy a huge house and just make tunes the whole time. Q: Is there anything you’d change about your journey as a band so far? JOD: I’d probably be a bit more strict with promoters in terms of getting money as a lot of them would try to pull a fast one on us and for a while we were like “Ohh, We’re playing a gig, it’s brilliant” but now we have to try be a bit more mangy about it, Chuck Berry-ish. 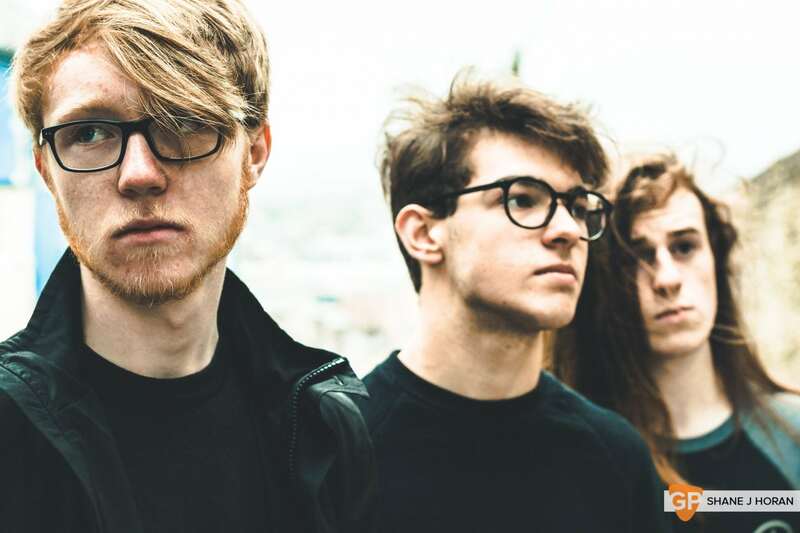 COM: Yeah but at the same time I’m still very happy with what we did musically and I think, in terms of what I thought the band would be we’ve done way more than I thought we would. God Alone launch their debut album "Poll na mBrón" in The Kino on December 16th Tickets €5 - All Ages show doors 6pm.